HERO is creating a digital token for use on Hereosphere, an existing esports betting platform. The main goal of the token is to enable parties to place bets without having to rely on intermediaries to prevent fraud and manage transactions. 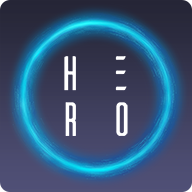 By removing the middlemen, HERO aims to keep more money in the pockets of esports players, while also eliminating the risk that bookmakers cheat by fixing matches or failing to pay the winning party in a bet. HERO's token is called HeroCoin. In the betting industry, middlemen organizations -- such as bookmakers or casinos -- have traditionally been unavoidable. That is because they serve to connect players with each other in order to place bets. They also (usually) help to settle disputes and prevent one player from cheating another. Yet these middlemen come with a price. They typically collect a share of the sum that players bet, which means that a winner receives less money than he could if the middlemen did not exist. In addition, although part of the purpose of middlemen is to resolve disputes and mitigate the risk of one player being cheated by another, dishonest bookmakers could cheat players by fixing a game or refusing to pay the winner of a bet. HERO's proposed solution to this problem is to make middlemen unnecessary by allowing players to place bets directly with one another. Because transactions are managed using smart contracts, the winner of a bet is automatically paid. Because there is no middleman to take a cut of the proceeds, the winner receives the full amount that was wagered and is due to him. HERO is part of a larger betting platform called HeroSphere. The platform is designed to allow players to place a bet on any kind of game, including contests that they create themselves. 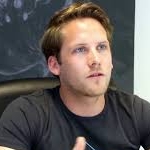 Paul Polterauer, CEO. 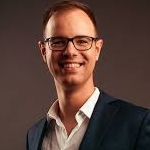 Polterauer has a background in consulting and corporate finance and previously co-founded another "social" betting platform. Philip Peinsold, CTO. 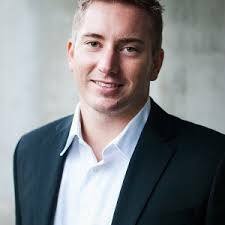 Peinsold worked as a software developer in the past and was also a co-founder, with Polterauer, of the social betting platform. Bernhard Blaha, COO. Blaha's only previous experience before involvement in HERO appears to be at an Austrian company named Cored, about which little online information is available. While the team has some previous experience with other startups, the outcome of those projects is unclear. HERO appears to be the first time that these executives have worked closely with blockchain technology. HeroCoin will serve as the currency that players on HeroSphere use to place bets and receive rewards. The token runs on the Ethereum blockchain, which also enables the platform to execute smart contracts to govern transactions. Much of HeroCoin's code is publicly available on GitHub, although it has not been updated in about a half-year. The project also maintains a Telegram account and an active Twitter profile. HERO is one of several startups hoping to use blockchain to change the world of betting. It faces a number of competitors, such as Wagerr and Augur, to name just a couple of similar projects. That said, HERO is open and transparent about its competition, which is a good sign. Its website includes a table that describes how HERO compares to other projects. HERO claims to be the most complete blockchain-based betting platform to date, with a working product rather than one that is still in development. It is also a healthy sign that the HERO team does not appear to be overly focused on its ICO. The company has built a product that actually exists, and has placed less emphasis on its ICO than many startups. This approach provides some assurance that HERO is the real deal, not just a project hoping to raise money quickly via an ICO before having a concrete platform in place. On the negative side, HERO's leadership team seems to lack extensive experience in the blockchain space. Its executives also have limited prior experience in the betting industry. Investors might ideally wish to see a stronger performance record in these areas from the project's leadership. The bottom line is that Bitcoin Market Journal analysts' overall impression of HERO is favorable, but there are some reservations. We think it's worth a bet if you want to invest in blockchain technology for the betting industry. However, we'd recommending investing in some of HERO's competitors as well, because it remains too early to say which of the numerous startups in this niche will outpace the others. Want to read additional in-depth analysis of current and upcoming ICOs? Bookmark our initial coin offerings page and subscribe to the Bitcoin Market Journal newsletter today! What made “ros” invest in HERO's ICO and how did he experience the first blockchain contests? What is the cost of HeroCoin? One Ether buys 120,000 HeroCoin during the project’s pre-ICO phase, and 100,000 during the ICO. The project of which HERO is a part began in 2014. HERO itself was created in 2016. Which blockchain does HERO run on?